My mom always made the best carrot cake. 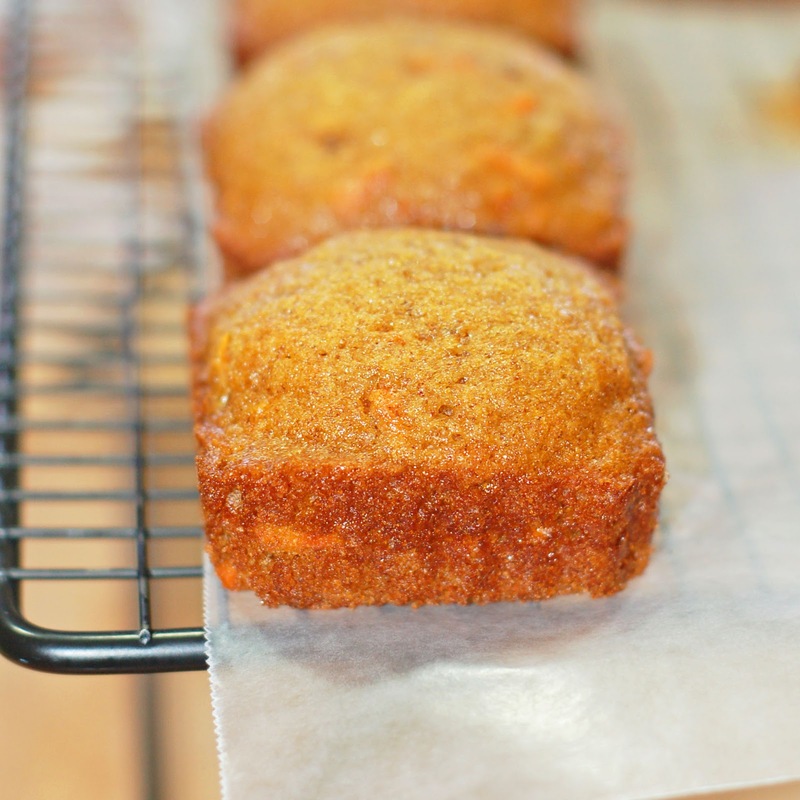 Flavorful, moist, and with lots of carrots! So I pulled out a copy of her recipe. Of course it was written in French, so it took a little extra thinking on my part. Although I can read, write, and speak French, I do not use it everyday, therefore my vocabulary it sometimes lacking. Don't worry I have translated it for you. I did swap a few things in the recipe. I replaced some of the oil with unsweetened apple sauce and some of the all purpose flour with whole wheat flour and added some vanilla. 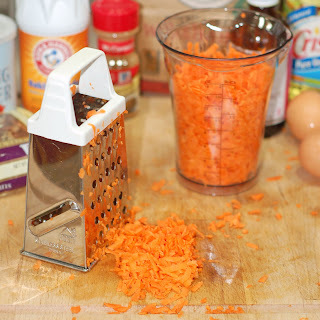 Yep, I grated my carrots by hand. I do have a small food processor, but didn't feel like taking it out. Anyway, grating by hand is good exercise. I used my square muffin tin by Dannyseo, but you can make them in a regular muffin tin also. You can see specks of cinnamon and the bits of carrots. You can almost smell the goodness. My mom always topped her cake off with a cream cheese frosting, but I wanted something different. I really liked the Cinnamon Mascarpone Frosting I made for my Churro Cupcakes. I thought it would be a nice compliment to the muffins. It just needed a hint of maple syrup. Everything tastes better with maple syrup. My dad always pours it over any dessert he has. It's no wonder I love it so. Place sugar, flours, baking soda, baking powder and cinnamon in stand mixer bowl. Mix on low till well blended. Add beaten eggs, oil, applesauce and vanilla. Mix on low for 2 minutes. Then stop and scrape down sides. Continue mixing on low until mixture is well blended. Add carrots, raisins, and pecans. Mix until all are incorporated. Pour mixture into greased or lined muffin tins. Bake on 350ºF for 15 minutes or until toothpick inserted in center comes out clean. Then take out of oven and place on cooling rack. With stand mixer on medium speed (with whisk attachment), whisk heavy cream until stiff peaks form (be careful not to over beat, or cream will be grainy). In another bowl, stir together mascarpone, cinnamon, confectioners' sugar, and maple syrup until smooth. Gently fold whipped cream into mascarpone mixture until completely incorporated. Use immediately on cooled muffins. After frosting the muffins keep them refrigerated. I love carrot muffins! This icing sounds really good too. So yummy and healthy! I love incorporating carrots into my diet! Healthy?! 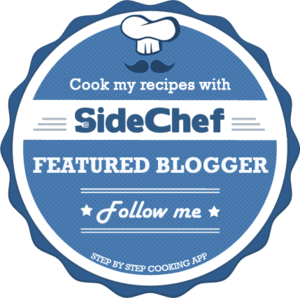 There's TWO cups of sugar and a whole cup of oil in this recipe! I am loving these muffins! the square shapes make them look more elegant - like mini desserts as opposed to mini muffins! excellent job, they look perfect! thanks. I really love my Dannyseo pan.